Come see Amur tiger cubs Reka and Zeya, now on exhibit! They may be seen between 9 AM and 3 PM. Please note the cubs’ schedule is subject to change due to weather and other circumstances. 9 to 12 feet. Height: 3 feet, 6 inches at the shoulder. Weight: 400 to 650 pounds (record 850 pounds). These enormous cats have pale yellow-orange fur above that shades to creamy white below. They have a long fur coat (up to 3 inches along the belly) to protect them in temperatures as low as 50 degrees below zero. 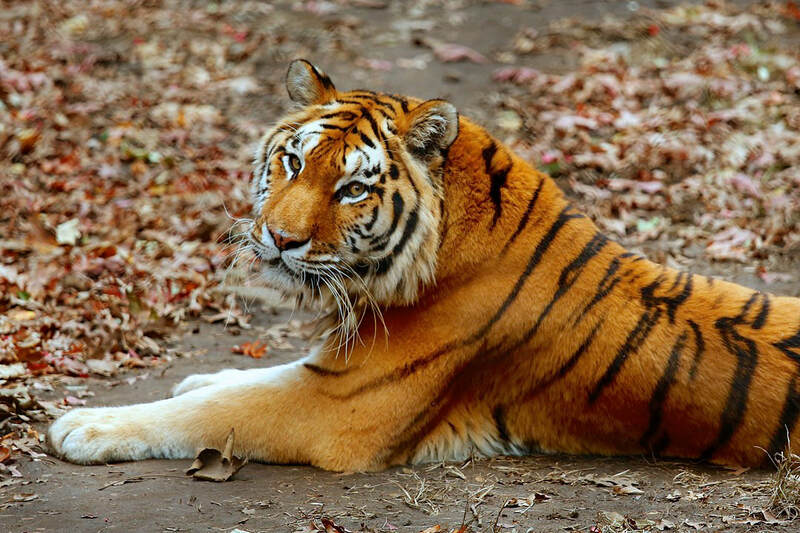 All tigers have pale blackish stripes with a distinctive pattern on the face as unique as a fingerprint. Males are generally one-third larger than females. Depending on the subspecies, tigers may be found in a variety of habitats. 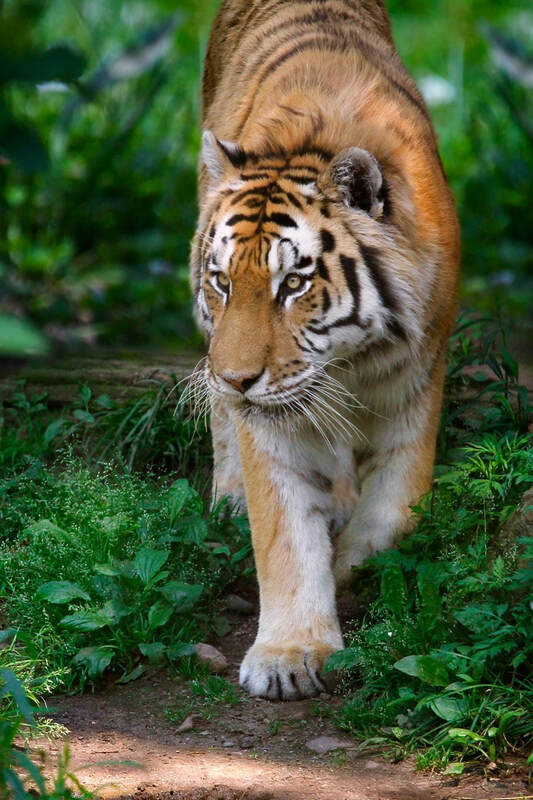 Siberian tigers are found in grasslands and evergreen forest. The Amur-Ussuri region of Siberia, northern China and Korea. Mostly deer, wild boar, elk, lynx, bear, fish, hares and birds. 12 to 14 years. Up to 25 years in captivity. Males and females come together to breed and then separate. Females give birth to 2 to 3 cubs. The cubs may stay with their mom for up to two years. A critically endangered subspecies of tiger. Approximately 350 of these great cats survive in northern Asia. All tigers are endangered and protected worldwide. They suffer from habitat loss and poaching. 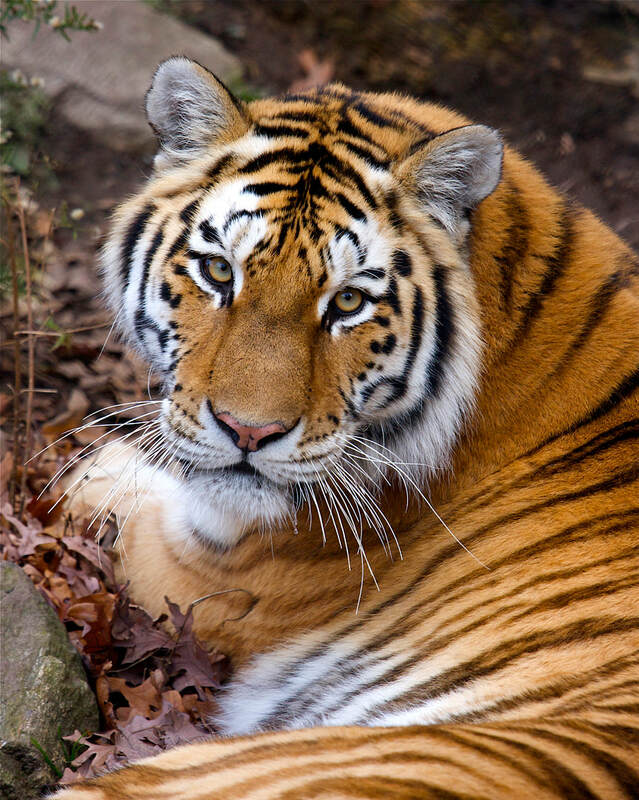 Beardsley Zoo’s Siberian Tigers, Changbai & Petya, are members of the Species Survival Plan (SSP) for Siberian Tigers. They may be bred with other Siberian tigers in the United States or from other countries in order to keep their population healthy and stable. Connecticut’s Beardsley Zoo is proud of its role in this conservation program that ensures the survival of these majestic predators for future generations.